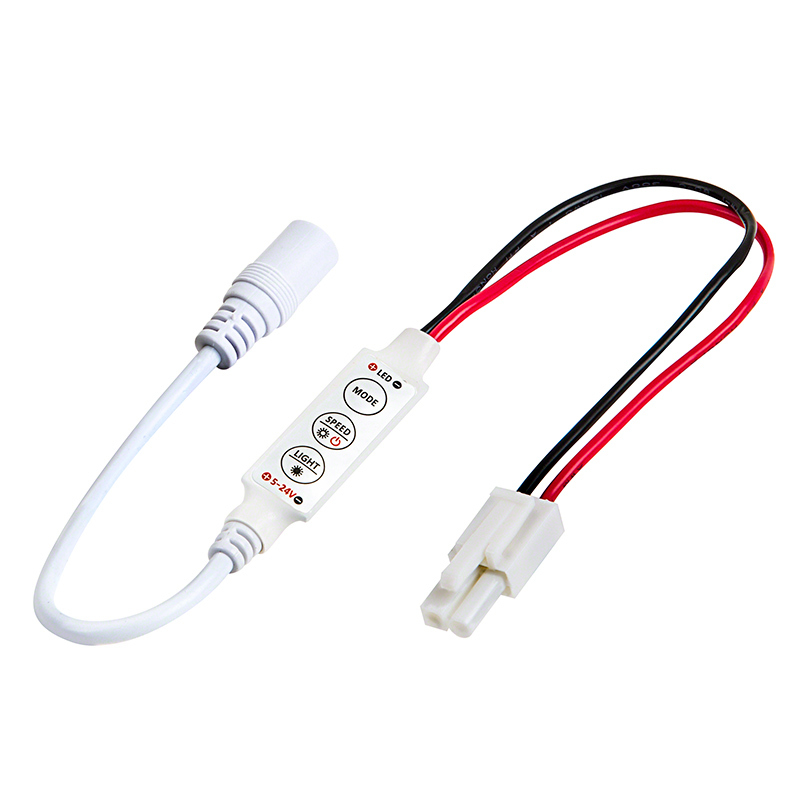 For use with LC2 connectors. 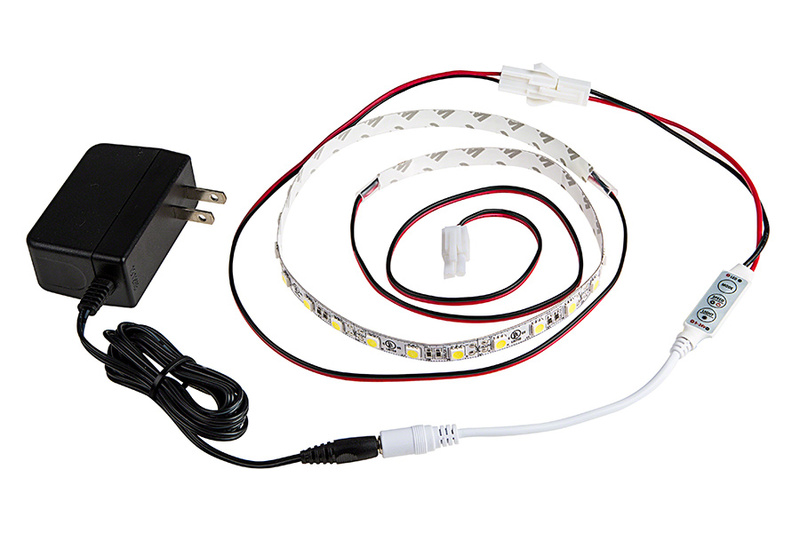 Universal single color mini LED dimmer can dim any 12VDC LED products from 10%-100% using Pulse Width Modulation (PWM) circuit push button control from stepped intensity adjustment. 5 dynamic flashing modes with adjustable speeds. Maximum load is 5 Amps - holding Speed/Bright button turns LEDs ON/OFF. Retains last setting when power is cycled. Attached 4" power input and controller output wire leads. Suitable for vehicles.